The squee factor may be strong with this one, but a fluffy rover has given scientists the ability to make some serious finds as well. Biologists have to deal with their own version of the observer effect. Checking to see if whales are healthy gets tough when an approaching boat stresses out the marine mammals. The solution, then, is to become as unintrusive as possible. For whale scientists, that means tiny flying drones. 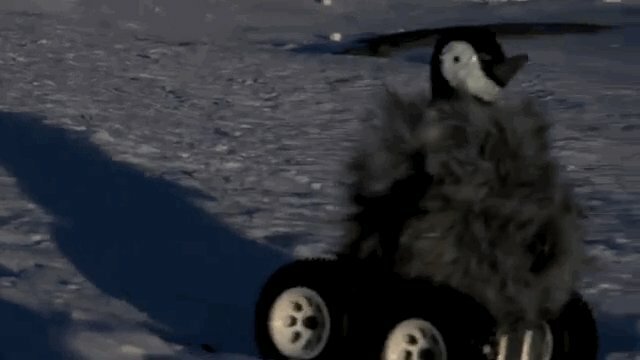 An international group of researchers recently camouflaged a little four-wheeled rover to look like a penguin chick. A plain rover, sans faux chick hat, approached king penguins to measure heart rate monitors without sending the penguins' pulses racing, the scientists reported in the journal Nature Methods on Sunday. (Penguins found human investigators, on the other hand, rather more alarming). 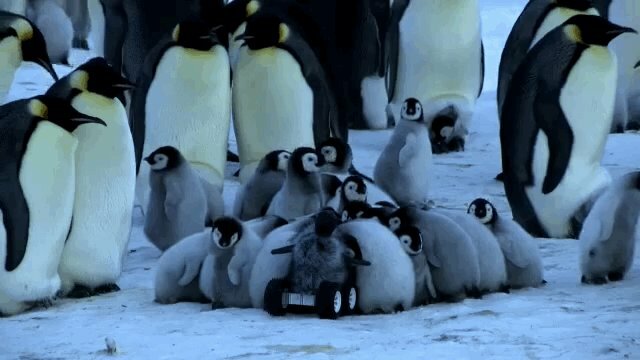 But a fake penguin perched on the rover fared even better, as the researchers found when they sent the little rover into emperor penguin territory. 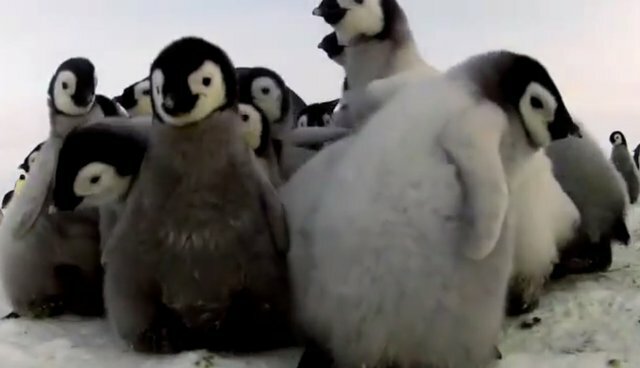 The Thomas Pynchons of the Antarctic, emperor penguins shy away from camera-toting humans - but they seemed to welcome the rover into their colony. 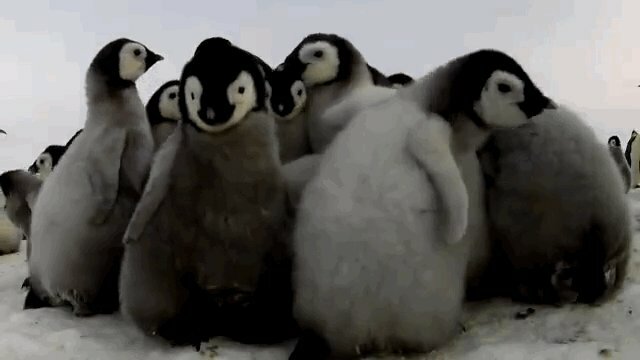 Some penguins even called out to the machine, only to be disappointed, one French researcher said, by the lack of a reply. Rovers like this one - capable of remote radio-frequency identification - also offer an advantage over traditional tagging methods, the scientists note. Such tags, some no bigger than a grain of rice, drastically reduce the size of crucial tracking equipment used to monitor rare animals. And if it leads to adorable cuddle sessions, well, that's just gravy.